Lecturer in drawing and 3D studies at various London and Suffolk colleges; latterly in visual studies & packaging at University Campus Suffolk. Now runs occasional art workshops. Exhibition venues include: Christchurch Mansion; Woodgates; Chelmsford Cathedral Festival; 4th International Biennale St Petersburg; The Cut Halesworth; North House Gallery Manningtree; Reunion Gallery Felixstowe; Thompson's Aldeburgh; Peppermint SHED Sproughton. 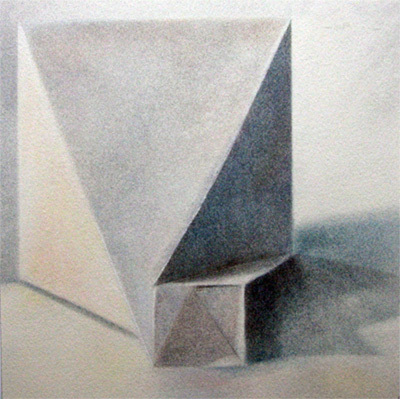 Whether exploring the real world in drawings or evoking it in three dimensions, my primary concern is its abstract and partially-concealed qualities.